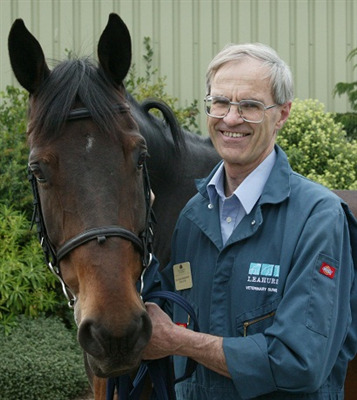 Professor Derek Knottenbelt is the driving force behind ‘Vets with Horsepower’, a group of senior level vets who go on motorbike tours to raise funds for international animal charities and deliver veterinary training to their staff. A senior professor at the University of Glasgow, Derek instigated the first tour to prevent the closure of a riding school for children with disabilities in Mali. The vets recently finished their sixth tour, which took place in South Africa for the benefit of two local horse care charities and a children’s home. Derek is the latest recipient of a Point of Light award, which recognises outstanding individual volunteers, people who are making a change in their community and inspiring others. Each day, someone, somewhere in the country is selected to receive the award to celebrate their remarkable achievements. Derek is the 631st winner of the Points of Light award which has been developed in partnership with the hugely successful Points of Light programme in the USA and was first established by President George H. W. Bush. Over 5,000 US Points of Light have been awarded and both President George H. W. Bush and President Barack Obama have publicly supported the partnership with Points of Light UK which honours shining examples of volunteering across the country. Well deserved, Derek. A truly inspirational character.